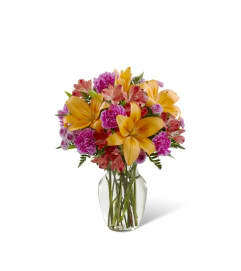 FTD® proudly presents the Better Homes and Gardens® Purple Prose™ Bouquet. 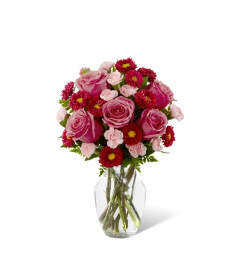 A fresh flower bouquet that speaks in the tones of love and caring kindness, this blushing display is one your special recipient won't soon forget! 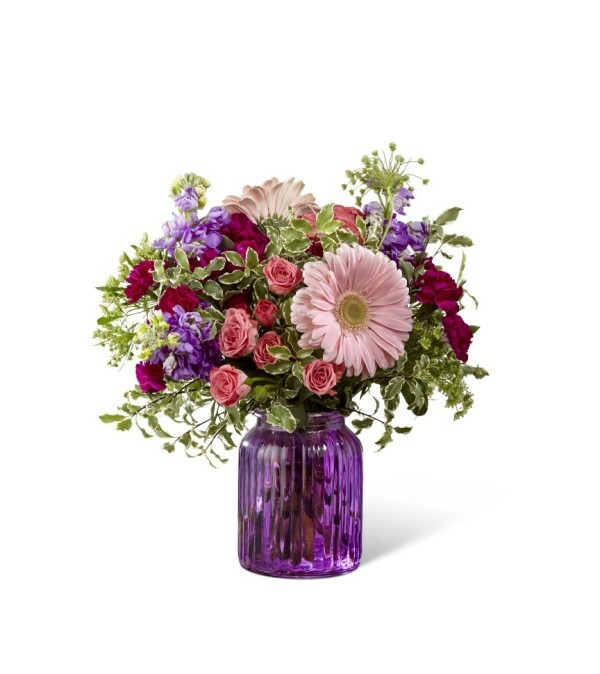 Pale pink gerbera daisies make a splash of sweetness when paired with fragrant lavender stock, dark pink spray roses, violet mini carnations, Queen Anne's Lace, and lush greens. Presented in a deep purple glass vase to give this flower arrangement a complete, finished look, this bouquet is ready to send your warmest happy birthday, thank you, or thinking of you wishes in style.